It was Elvis Presley who recorded Blue Christmas in 1957, quickly becoming a holiday music favorite. So why not a Blue Christmas Tree? Although the color blue has never been a traditional Christmas color like its color-wheel siblings red and green, it has found its place in modern Christmas decor. There are many reasons why Blue Christmas Trees have recently grown in popularity. One reason is mixed-faith families. So why then is the color blue significant then? Blue in Judaism is used to symbolize divinity because blue is the color of the sky and sea. Mixed faith family’s are seeking an alternative Christmas Tree that is unique and modern allowing them to respect and acknowledge both holiday traditions and celebrate their family diversity. Another reason is families are in search of unique Christmas tree ideas. Let’s face it, there are really only two choices when selecting a Christmas tree for your home. A real tree, or an artificial Christmas Tree trying unsuccessfully to look real. 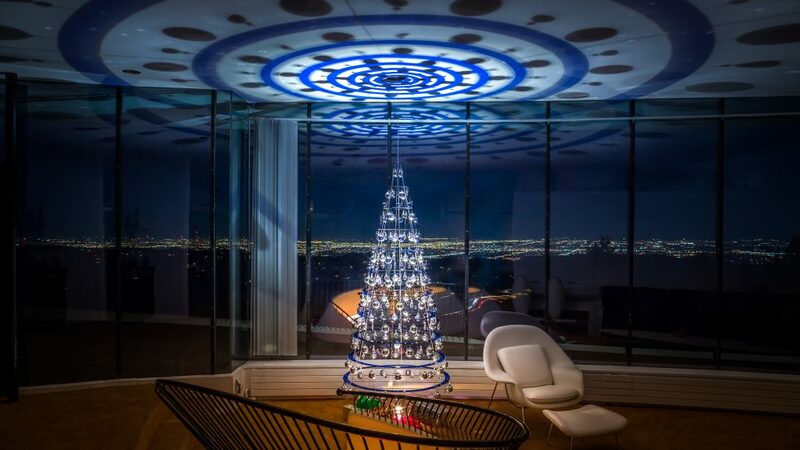 The Blue Modern Christmas Tree is giving families an opportunity to create a modern Christmas tree tradition all their own. It has also been said that Blue is considered beneficial to the mind and body. It slows human metabolism and produces a calming effect. Who couldn’t use a slower metabolism and an extra dose of calmness during the gluttony and stress that often times comes with the holidays? Ladies and Gentleman, I introduce to you, The Blue Christmas tree for your Christmas Tree consideration!